If you're not sick of pumpkin by the end of October, then we're just not doing our jobs as food bloggers. This product is TJ's way of saying, "You want PUMPKIN?? Oh, we'll give you PUMPKIN!" And they found a clever way to work the word "pumpkin" into the title of the product not once, but twice. I'm certain there's a triple-pumpkin product on its way, but until then, here are some suggestions, Trader Joe, for more ways to work the word "pumpkin," or some variation of it, into the title of a product two times: Trader Joe's Pumpkintastic Pumpkin Cookies, Trader Joe's Pumpkiniferous Snack Bars of Pumpkin, Pumpkin Joe's Pumpkin Puree, Trader Joe's Pumpkin Flavored Pumpkinosity Blasts, etc, etc. I could go on for pages and pages. I do question the use of the hyphenated form of "pumpkin-y" over the more obvious "pumpkinny," though. I feel as if when creating fictional pumpkin-based adjectives that hyphenation tends to scream "This is a made-up word!" whereas simply adding a suffix to the previously inalterable word lends the fictitious adjective a bit more credibility—and, yes, perhaps even a bit more dignity. But I digress. These dessert squares are indeed pumpkinny. But why these are worthy of the double pumpkin moniker and something like, say, Pumpkin Butter, is not, I'm not quite sure. They're about as pumpkintastic as any of the other myriad pumpkin products we've seen from TJ's these past few years. True, they do have "pumpkin flakes" (whatever they are), pumpkin puree, and pumpkin spices, but I'm not sure if I think these are head and shoulders more pumpkincalifragilistic than any other pumpkin product. They taste like above-average pumpkin cookies. They're nice and soft, and the coating of brown sugar and spices on the top gives them just a hint of a firmer, almost crunchy texture. They're almost like little pumpkin-flavored coffee cakes. The batch we have here at home tastes fresh, without a hint of staleness. 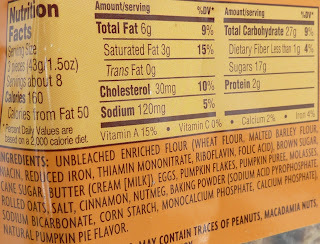 You can definitely detect certain pumpkin spices like cinnamon and nutmeg. 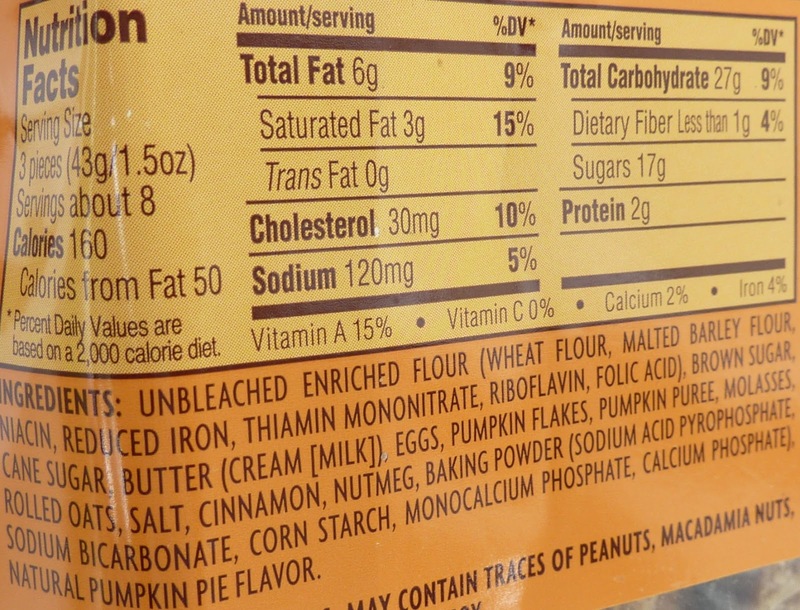 The pumpkin spice flavor is moderately strong, but certainly not overwhelming. My guess is that it's not a product for "pumpkin agnostics," though. 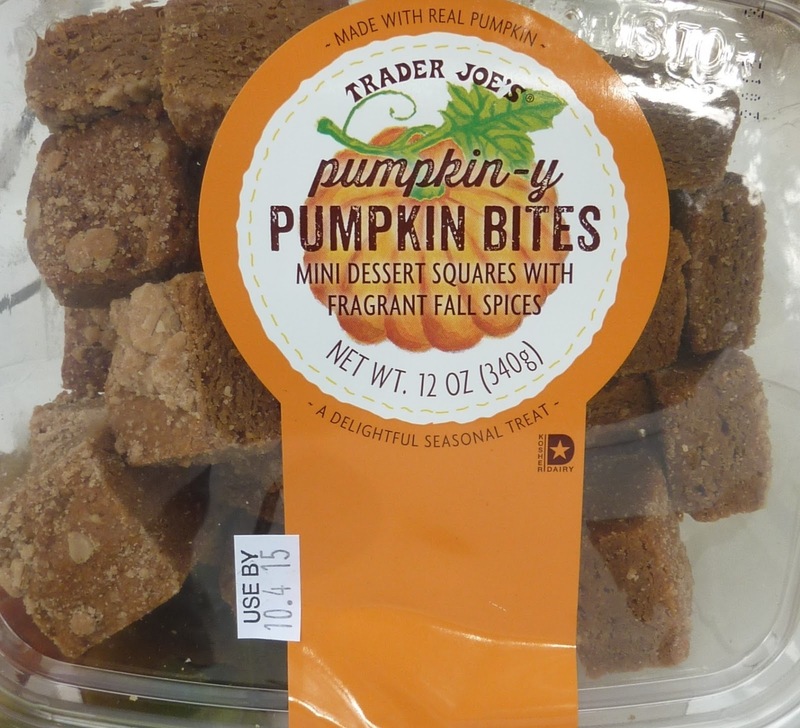 You've got to be pretty heavily into pumpkin and its affiliated spices in order to appreciate these. 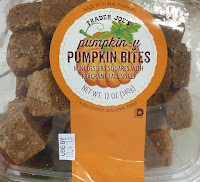 But by the same token, these aren't as exciting as some of the other pumpkin products we've seen recently. There's a lot of novelty value plus a huge weirdness factor with products like Pumpkin Pie Mochi. For me, that's a good thing. 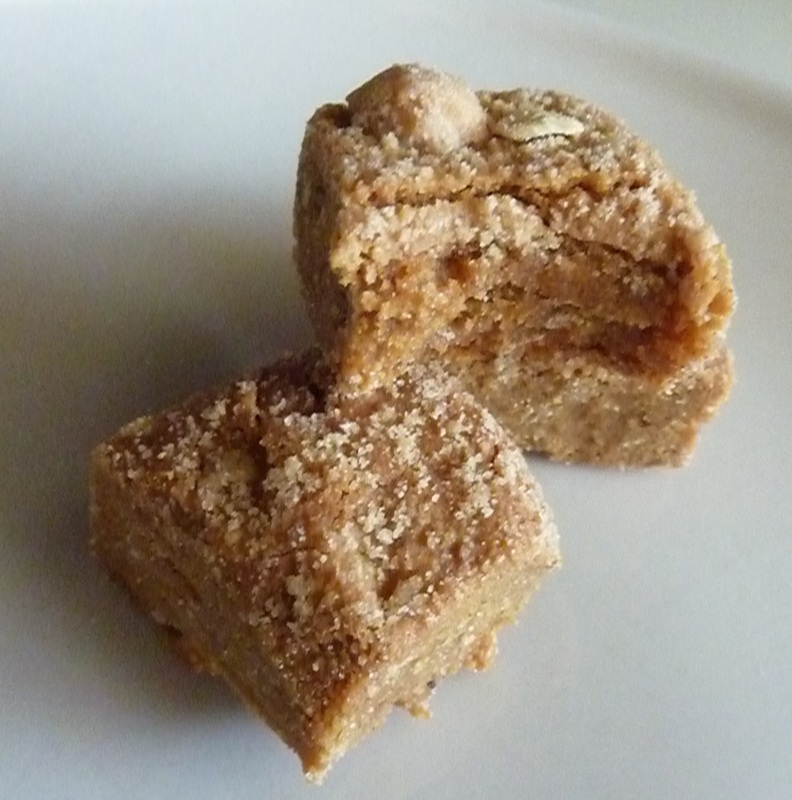 Here, we just have pumpkin cookies—admittedly, very decent pumpkin cookies—being served to us as "dessert squares." 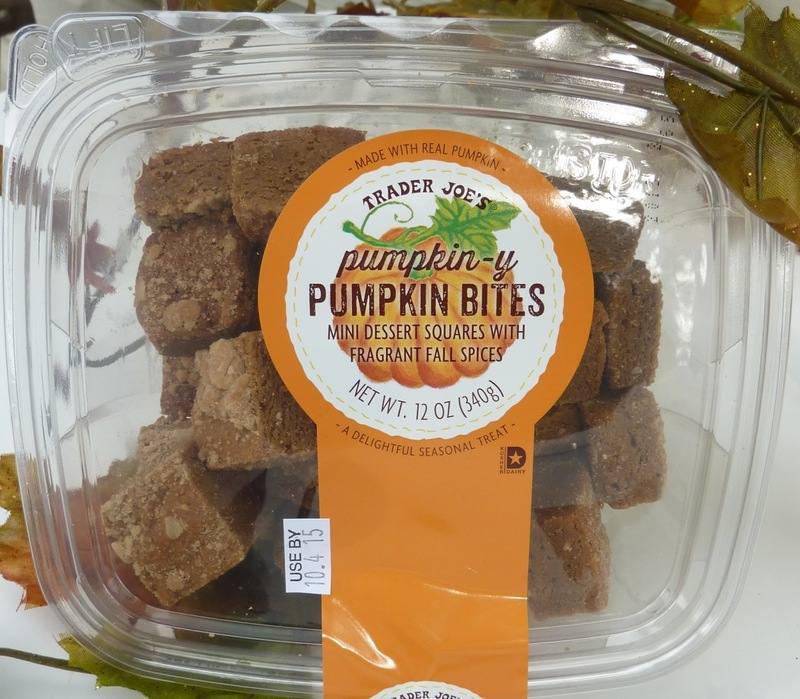 Fun and festive and perfect for fall, this offering is another fine Pumpkin Joe's purchase, but for me personally, they will probably pale in comparison to some of the more peculiar products in the pleasantly palatable pumpkin pasture. Three and a half stars from me. Same from Sonia.